Vedanta Biosciences Appoints Susan Dillon, PhD, to Board of Directors :: Vedanta Biosciences, Inc.
CAMBRIDGE, Mass.--(BUSINESS WIRE)-- Vedanta Biosciences, a clinical stage company developing a new category of therapies for immune-mediated and infectious diseases based on rationally defined consortia of human microbiome-derived bacteria, today announced the appointment of industry leader Susan Dillon, Ph.D., as an independent member of its Board of Directors. Dr. Dillon brings a wealth of drug development experience in immunology and infectious disease, having led the approvals and expansions of several blockbuster products. Dr. Dillon is Co-founder, President, and Chief Executive Officer of Aro Biotherapeutics, a biotechnology company focused on next generation protein medicines. Prior to Aro Biotherapeutics, Dr. Dillon served as Global Therapeutic Area Head for Immunology at Janssen Research & Development, LLC, one of the Janssen Pharmaceutical Companies of Johnson & Johnson. 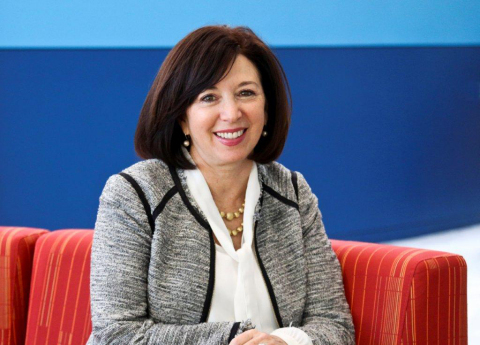 During her 16-year tenure, Dr. Dillon led biologics discovery and global Immunology R&D teams that were responsible for achieving numerous regulatory approvals for innovative antibody products for autoimmune diseases that delivered combined sales in excess of $10 billion, including REMICADE®, SIMPONI®, STELARA®, and most recently TREMFYA®, the first anti-IL-23 monoclonal antibody to be approved. Dr. Dillon currently serves on the Board of Directors of the Wistar Institute and is an advisor to the DMAX Foundation which is focused on mental health. In 2013, she was named one of the “Top Women in Biotech” by FierceBiotech. Dr. Dillon earned her Ph.D. in Microbiology and Immunology from Thomas Jefferson University, and she holds a B.S. and an M.S. in Medical Technology from State University of New York at Buffalo and Temple University School of Medicine, respectively. Vedanta Biosciences is a clinical-stage company developing a new category of therapies for immune-mediated and infectious diseases based on rationally defined consortia of human microbiome-derived bacteria. Vedanta Biosciences is a leader in the microbiome field with capabilities and deep expertise to discover, develop, and manufacture live bacteria drugs. These include what is believed to be the largest collection of human microbiome-associated bacterial strains, a suite of proprietary assays to select pharmacologically potent strains, vast proprietary datasets from human interventional studies, and facilities for cGMP-compliant manufacturing of rationally-defined bacterial consortia in powder form. Vedanta Biosciences’ pioneering work, in collaboration with its scientific co-founders, has led to the identification of human commensal bacteria that induce a range of immune responses – including induction of regulatory T cells, CD8+ T cells, and Th17 cells, among others. These advances have been published in leading peer-reviewed journals, including Science (multiple), Nature (multiple), Cell, and Nature Immunology. Vedanta Biosciences has harnessed these biological insights and its capabilities to generate a pipeline of programs in infectious disease, autoimmune disease, allergy, and immune-oncology. Vedanta Biosciences was founded by PureTech Health (PRTC.L). Its scientific co-founders are world-renowned experts in immunology and microbiology who have pioneered the fields of innate immunity, Th17, and regulatory T cell biology, and include Dr. Ruslan Medzhitov (Yale and Howard Hughes Medical Institute (HHMI)), Dr. Brett Finlay (University of British Columbia and HHMI), Dr. Kenya Honda (inventor of Vedanta Biosciences’ lead product candidate; Keio University and RIKEN), Dr. Dan Littman (New York University and HHMI), Dr. Alexander Rudensky (Sloan Kettering and HHMI), and Dr. Jeremiah Faith (Mount Sinai School of Medicine).